Learn the importance and fragility of an ecosystem along with the beauty of a salt marsh moraine and much more during one of WMHO’s special Photography Cruises offered by Camera Concepts & Telescope Solutions (CCTS) aboard the “Discovery” Wetlands Cruise. This is not just your ” run-of-the-mill” photo cruise! 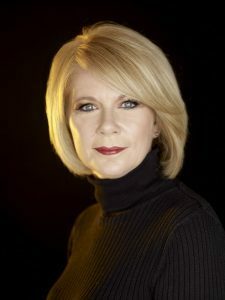 Jeff Norwood, owner of CCTS and lifelong professional photographer (pictured), will offer advice on capturing stunning shots and will give useful tips and tricks that he has learned over the years. 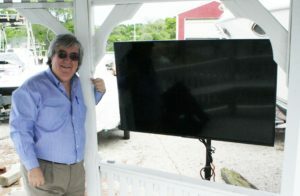 After the cruise guests will gather at the Stony Brook Marine Services Gazebo where Jeff will use a massive 50 inch LED high-resolution display with high-def video and crystal clear audio so participants can immediately share their best shots with razor-sharp clarity and receive feedback from their photographic guide. The first Photo Cruise of the season will be Saturday, June 30. Lesson starts at 1 pm and cruise departs at 1:30 pm. The Ward Melville Heritage Organization has been offering Discovery Wetlands Cruises since 1995. A nat uralist is on board to guide passengers through this exceptional experience viewing waterfowl, birds and more, embracing ecology, geology and history. The cruise also includes information on how Native Americans first settled here so there is much to choose from for the photography enthusiast. 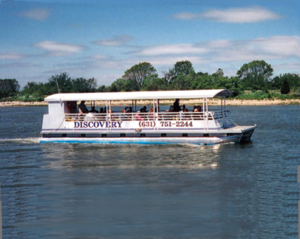 The “Discovery” 27-passenger pontoon boat takes passengers from Stony Brook Harbor through the wetlands at West Meadow Creek. Morning, mid-day and sunset cruises are available. Cruises depart from 51 Shore Road in Stony Brook (Stony Brook Marine Services parking lot) and run now through October 14. Morning, mid-day and sunset cruises are offered and the full schedule can be found at wmho.org. Individual rates are $28 for adults, $25 for students and seniors and $18 for children under 6. Photography cruises are $50 pp. Remaining photography cruise dates are July 14, August 25, and September 22. Group discounted rates are also available. Reservations are preferred to secure your spot, but walk-ons are accepted with cash payment at the boat when space is available. For additional information or to make your reservation, call (631) 751-2244. Stony Brook, NY – Edward Jones, headed by George Ellsworth Smith, AAMS, CRPC, Financial Advisor, has relocated from their offices off Rt. 25A in Stony Brook to their new space in the Stony Brook Village Center. A financial advisor with Edward Jones since 2007, George will continue to offer a comprehensive suite of investment products and services. He will help you build a diversified portfolio of quality investments, including stocks, bonds, mutual funds and ETFs, along with insurance and annuity products that can help to protect your financial future as well. A Fortune 500 company, Edward Jones provides financial services to more than 7 million customers in the U.S. and Canada through its branch network of more than 14,000 locations and cares for $1 trillion in assets. A Grand Opening Celebration will be held from 1 pm to 7 pm on Tuesday, June 19 at their new location at 97 F Main Street, in the Inner Court section of the Village Center. Refreshments, food, a tour and activities are planned, and a ribbon cutting ceremony will take place at 1 pm. They are open Monday to Friday, 8 am to 5:30 pm; Saturday mornings by appointment only and are closed on Sundays. For further information they can be reached at (631) 444-0179. 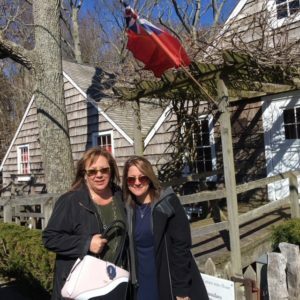 Stony Brook, NY – The Ward Melville Heritage Organization (WMHO) and Burner Law Group, P.C. have launched unique programming focused on the vitality, wisdom and life experiences shared by the 55-plus generation – “The Third Age.” Through various events such as virtual travel, cyber security workshops or master classes with special guests, participants are invited to come, listen and share their own inspirational stories. 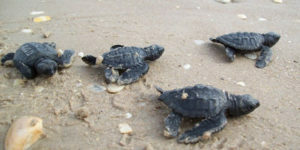 This first of its kind programming on Long Island, next in this series will be on May 23 from 1 pm – 2:30 pm with Virtual Travel to South Padre Island – Riders of the Stream at Sea Turtle, Inc., the hub for sea turtle rescue in Texas. Sea Turtle, Inc. was founded in 1977 by Ila Fox Loetscher, better known as “The Turtle Lady of South Padre Island” and guests will learn much about the rescue and rehabilitate of injured sea turtles for release back into the wild, conservation efforts, nesting, hatchling releases and much more. The program takes place at WMHO’s Educational & Cultural Center, 97P Main Street, Stony Brook and the cost is $15 pp. Refreshments will be served. Call 631-689-5888 for reservations and visit www.stonybrookvillage.com for full details on all upcoming programs. Photo Credit: Sea Turtle, Inc.
Stony Brook, NY – Kids can learn while having fun this summer at an amazing waterside, scientific laboratory right in the heart of an 88-acre wetlands preserve at Ward Melville Heritage Organization’s “Summer of Science” programs. Salt Marsh Scientists for ages 13 to 17 will be offered July 30 through August 3 from 10 am to 1 pm. Guided by local marine scientists, participants will conduct scientific research monitoring birds, crabs and plants. Along with discovering the populations and biodiversity of the marsh, students will observe concepts such as zonation and learn about steps needed to protect the environment. Salt Marsh Detectives is for ages 10 to 12 and takes place August 13 through 17 from 10 am to 1 pm. 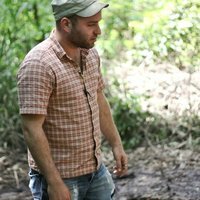 This program touches on exploration of the shoreline and the scientist’s lab searching for clues to nature’s mysteries. It will challenge students to investigate and discover the wonder and joy of marine science through hands-on experiences in the great outdoors. 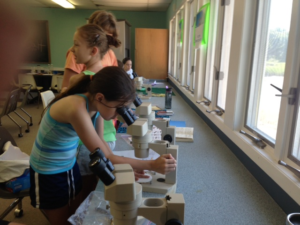 Summer of Science takes place at WMHO’s Ernst Marine Conservation Center, 101-111 Trustees Rd. West Meadow Creek in Stony Brook. Each program fee is $265 pp for the week. There is a sibling rate of $240. A two week notice is required for all cancellations without penalty. Call 631-751-2244 for further information and to register. WHO: The Ward Melville Heritage Organization (WMHO) and Burner Law Group, P.C. 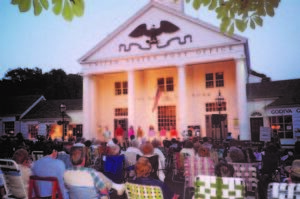 Stony Brook, NY – A unique and informative series on the preservation of the world’s great cultures, habitats and people will be introduced at The Ward Melville Heritage Organization’s (WMHO) Educational & Cultural Center in Stony Brook Village. 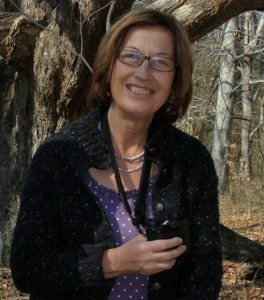 LONG ISLAND TO MADAGASCAR: Stony Brook University Professor Patricia Wright will discuss efforts from Madagascar to Long Island to preserve the world’s endangered forests and the species and animals they harbor. Thursday, May 10 • 6:30 pm, UNDERGROUND AT THE THOMPSON HOUSE:Archaeologist Brad Phillipi will discuss his findings from the 2014 archaeological dig at The Ward Melville Heritage Organization’s historic Thompson House. 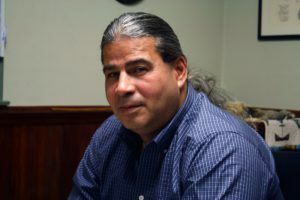 Thursday, May 17 • 6:30 pm, PRESERVING THE ALGONQUIN LANGUAGE: Chief Harry Wallace of Unkechaug Nation will speak about his efforts to preserve and protect the endangered language of Long Island’s Algonquin people. Thursday, May 24 • 6:45 pm, THE PARANORMAL, PART ONE: Historian and Author Kerriann Flanagan Brosky, along with Paranormal Investigator and Medium Joe Giaquinto, will discuss investigations at WMHO’s historic Brewster and Thompson Houses. General Admission is $15 pp and WMHO Charter Society Members is $10 pp. For full information on the Charter Society visit wmho.org or call 631-751-2244. Reservations are required and refreshments will be served. Call 631-689-5888 to reserve your spot. 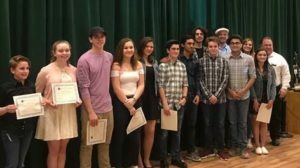 Stony Brook, NY – Created by the Ward Melville Heritage Organization’s Youth Corps, the Long Island’s Got Talent annual competition gives students from across Long Island the opportunity to showcase amazing talents! Seven finalists were recently chosen and the final competition will take place on September 7th. A $500 scholarship will be awarded to 1st through 7th place winners by Stony Brook University’s Pre-College Music Program, Five Towns College will once again offer a total of $25,000 in scholarships and Green Towers Group will present a $1,000 cash prize to the 1st Place winner. For more information on all WMHO events, call 631-751-2244 or visit www.stonybrookvillage.com. 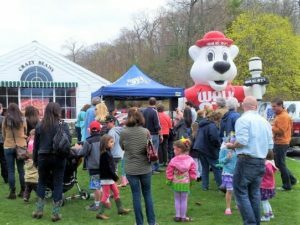 Stony Brook, NY – With winter hanging on a little longer this year we all deserve some outdoor fun celebrating spring, and one is planned in Stony Brook Village! Spring Appreciation Day festivities will take place Saturday, April 21 throughout the Center. Along with the simple beauty of the area and a multitude of shopping and dining choices just steps from each other, it won’t be hard to spend the entire day enjoying a host of special events planned. Festivities begin at 10 am with the Three Village School District-Wide “Spring into Art” K-12 Art Show at the Educational & Cultural Center. 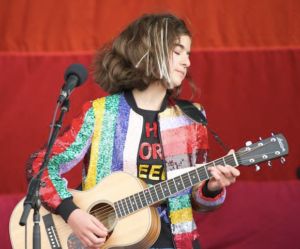 Beginning at noon and running throughout the day there will also be live music with WALK-FM and “Walkie Bear,” Burke & Brenda performing blues, country and Americana, the Cross Island Brass Quintet, a petting zoo, balloon artists and a Roseland School of Dance special performance at 1 pm.. Admission is free. The historic Stony Brook Grist Mill officially opens for the season that day as well. It is located within walking distance of the Village on Harbor Road off Main Street and visitors will enjoy its charming country store as well as a “miller” dressed in period clothing offering a demonstration of grain being ground into corn just as it was in 1751. Admission is $2 for adults and $1 for children under 12 and the Mill is open noon to 4:30 pm weekends. For full information visit stonybrookvillage.com or call 631-751-2244.